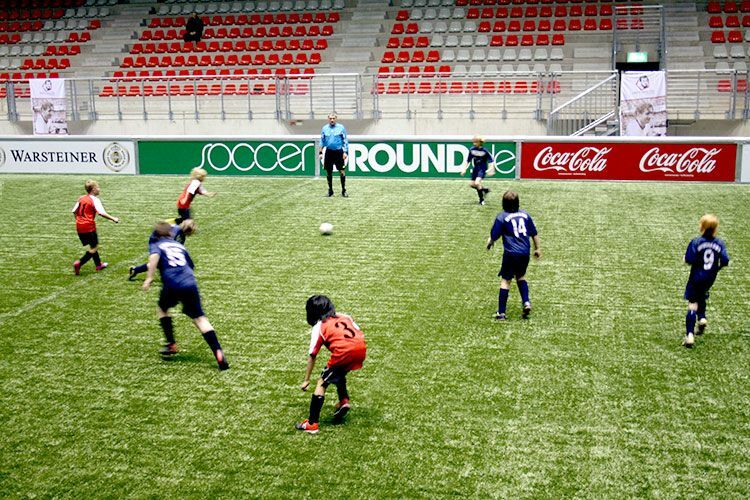 Mini-Pitches are artificial turf or hard surfaces surrounded by a rebound board system with integrated goals. 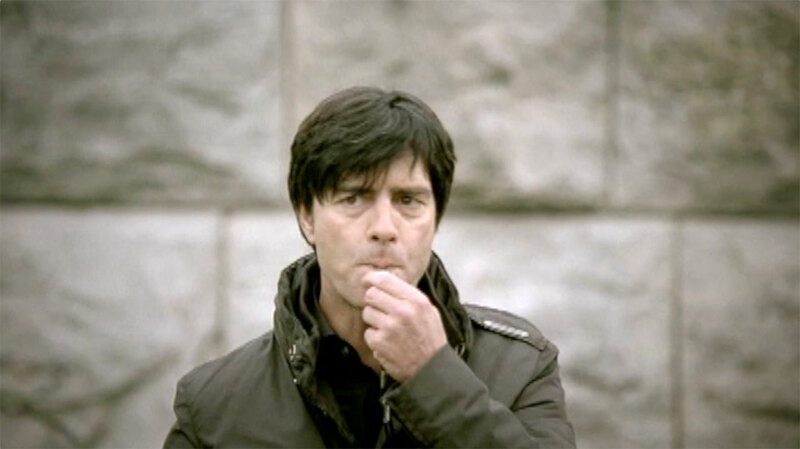 The ball remains constantly in play. 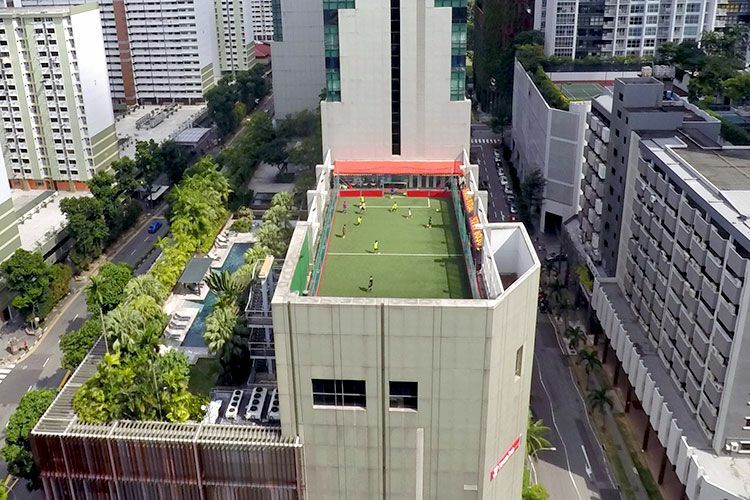 Mini-Pitches open up greater access to soccer, more ball contact, more decisions, more goals, creating a faster, more intensive experience than on a regular pitch. Technique, movement, reaction speeds are all tested to the limit. We can provide permanent or mobile solutions. 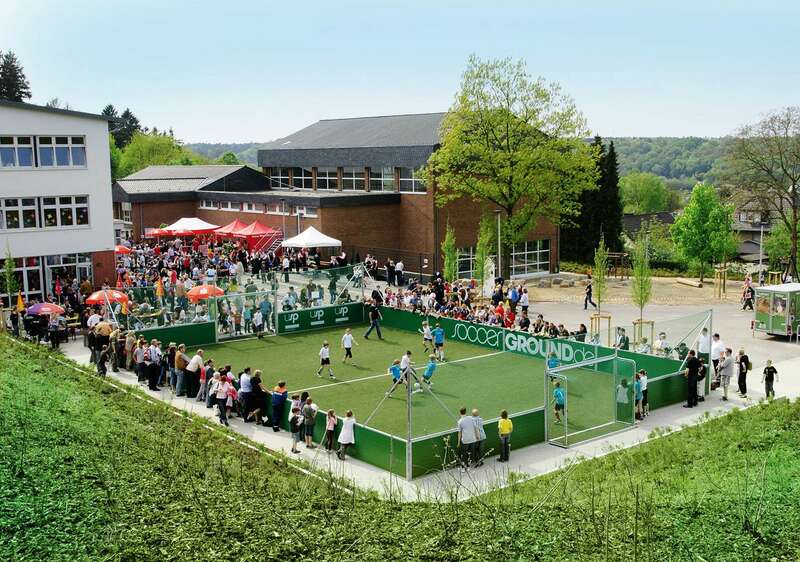 For schools and clubs, in public parks or for commercial projects, our mini-pitches have transformed countless locations by enabling sports to be played in relatively small spaces. 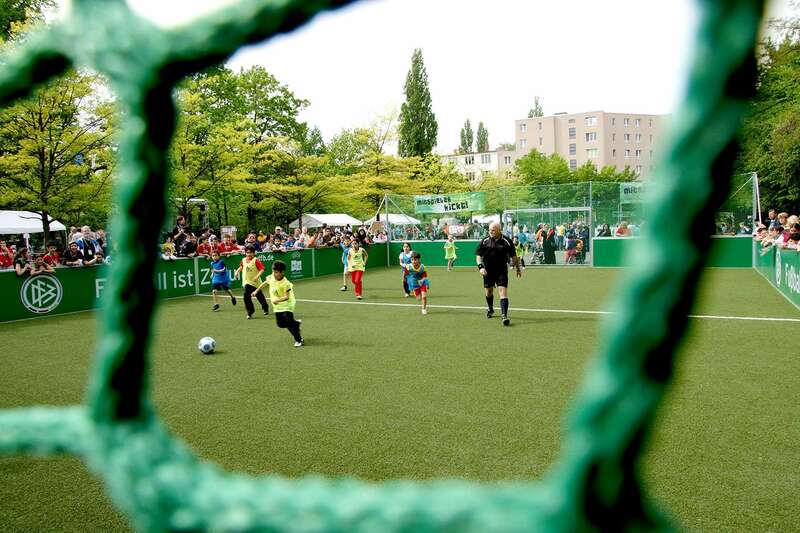 As the exclusive manufacturer and constructor of 1,000 DFB mini soccer rebound board pitches in Germany, we are specialists in the field of permanent and mobile soccer and multisports arenas. 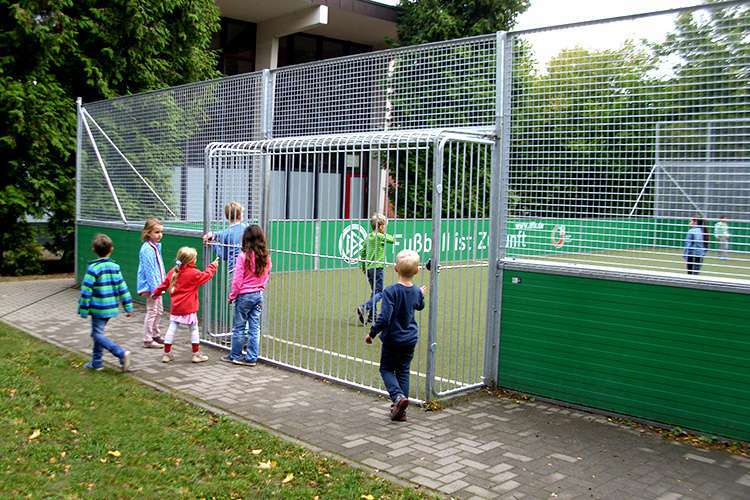 Through our collaboration with the German Football Association (DFB) and having produced more than 3,000 rebound board systems to date, we know what really matters: safety, quality and enjoying the game. 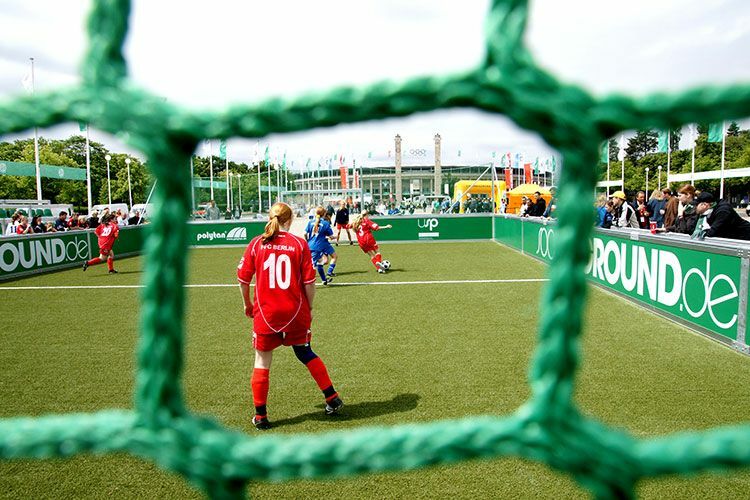 The construction of the SoccerGround mini pitch was thoroughly examined by the Rhineland TÜV for safety and stability. It was awarded the official seal of approval for free access multisports equipment, reference DIN EN 15312 (German Institute for Standardization). 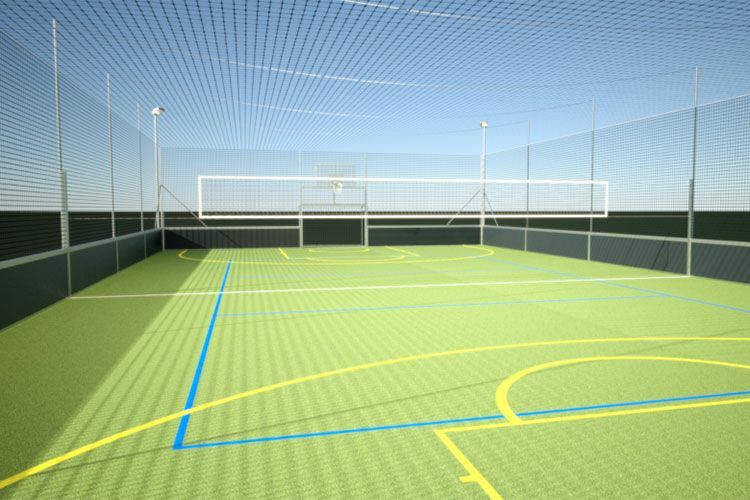 This guarantees that the mini sports pitch can be used unsupervised with every confidence. For locations where vandalism may be a concern, we recommend our security features, including grilles and full steel doors. Hours of access can be regulated through the use of lockable doors. 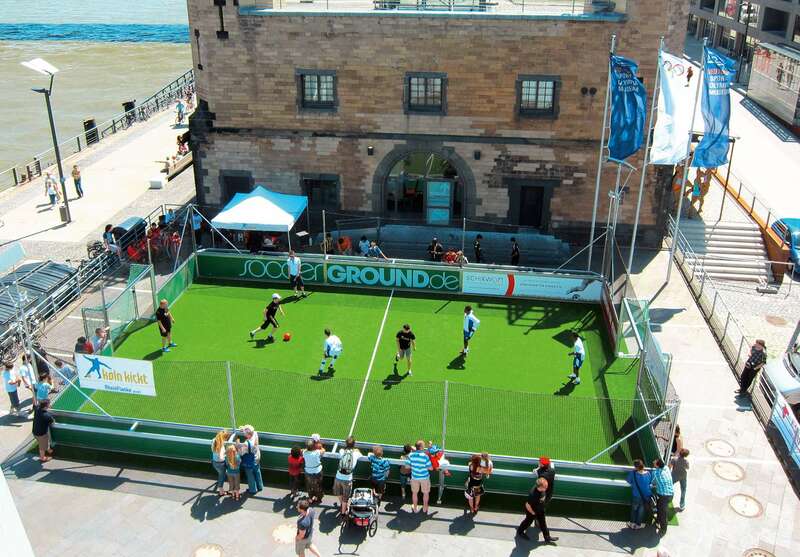 A small sided pitch can be installed in any number of locations. 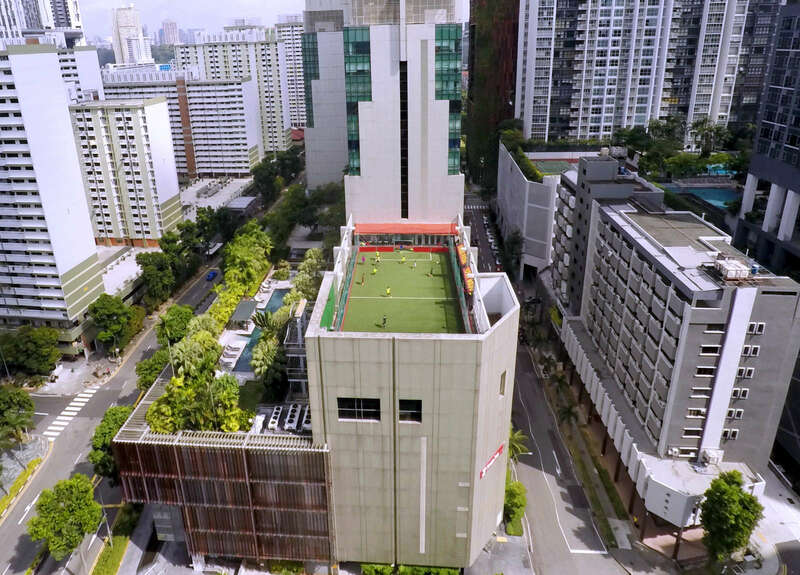 Breathe new and sustainable life into existing spaces, for example by redeveloping old tennis courts or making use of car parks or roof space. Create space for new games, harness new potential. 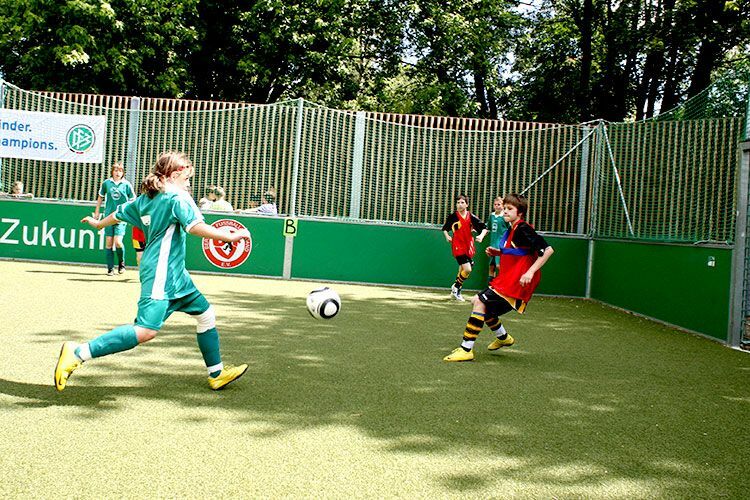 Use the space you have to full effect with a Multisport mini pitch. 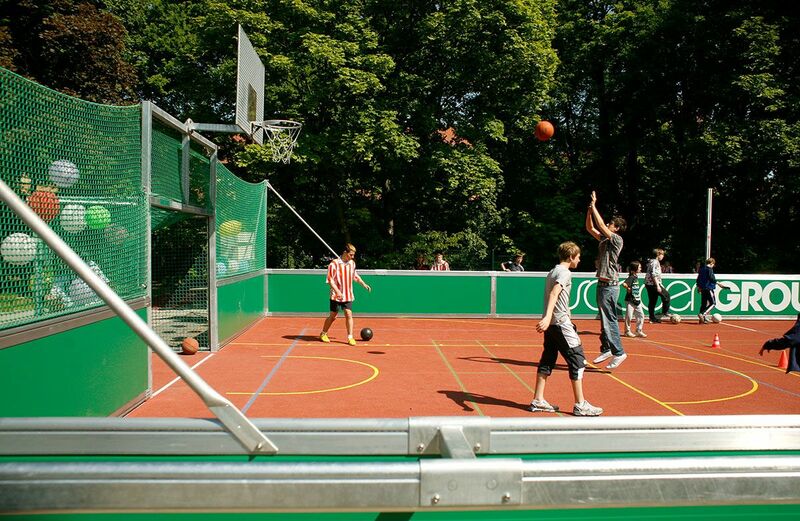 The court is suitable for many different sports such as basketball, volleyball, tennis, even football tennis! Your sponsors will be thrilled to see the extensive space available to advertise their products. It is always a positive signal to be involved in sport with heart and soul. 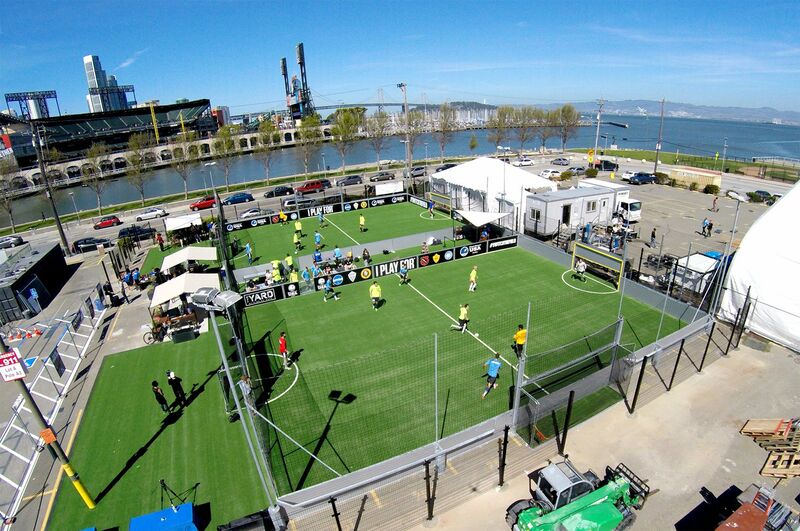 Soccer mini pitches are a constant magnet for audiences and players of all ages. Your perimeter advertising will send out your message loud and clear. 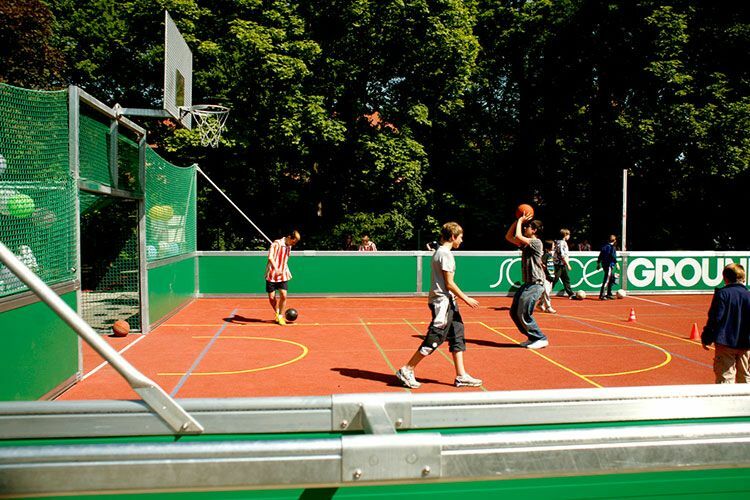 Design your own personal sports arena. Use our Mini-Pitch Builder and receive a free no-obligation quote! 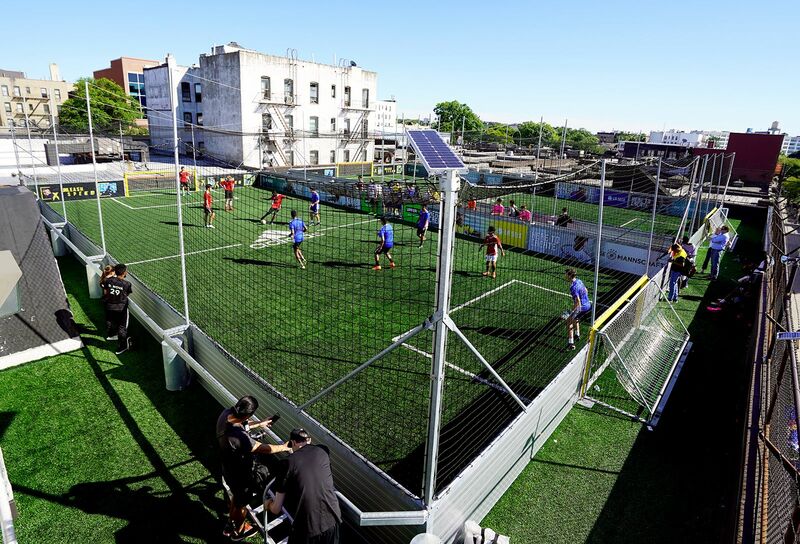 Build your own Mini-Pitch now!